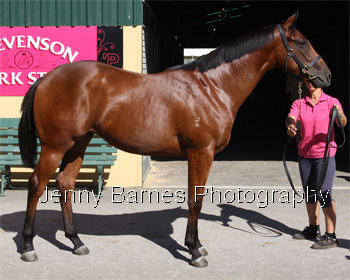 This filly was offered by Grange Thoroughbreds and is by Ekraar a Red Ransom stallion who stands in New Zealand where his oldest progeny are 2yos. 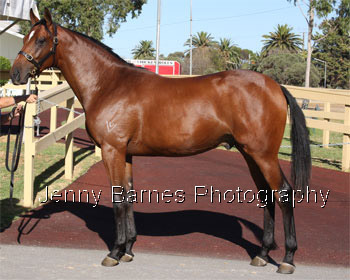 From the Zabeel mare Sahayb she is a half sister to the winner Etihaad and is from the family of Burst, Sudden, Victory Prince and Bush Padre and was purchased by K Peach of Vic for $62,500. Offered by J & P Glenney this bay filly is by Choisir sire of the Gr 2 winner Incumbent from the Royal Academy mare She's Academic who has had two to race for two winners. 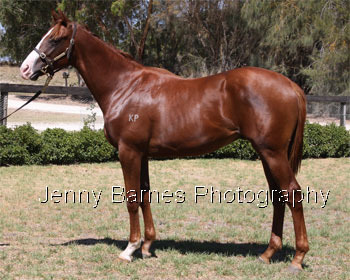 Related to Patezza, Crimson Gem etc she was purchased by Aquanita Racing for $90,000. 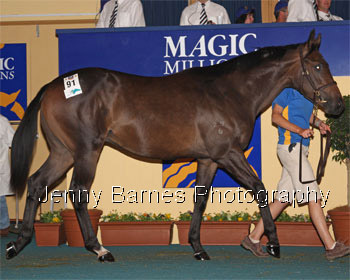 This outstanding filly topped the sale at $160,000 going to a bid of Leon Macdonald. Offered by Mill Park Stud she is by Galileo the sire of over 20 stakeswinners and over 180 winners. The first foal of Sizzie 'Em, an Irish bred daughter Flying Spur, she is related to French Gr 1 winners Sharaya, Shawanda, etc. Offered by Kiah Glenn this colt by Blevic (sire of SW Blevvo, Exalted Ego, Sassbee, Red Labelle, Shablec, etc) is the last foal from the Snippets mare Snip the Budget who died a few days after foaling him. He is related to stakeswinners Magic Konstev, Picket Fence, Coronation Cadet, etc and was purchased by F Smith for $24,000. 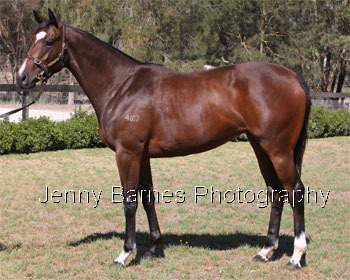 Also offered by Kiah Glenn was this colt by Royal Academy (sire of over 140 SW incl Val Royal, Serious Speed, Bel Esprit, etc) from the Danehill mare Soul Queen. 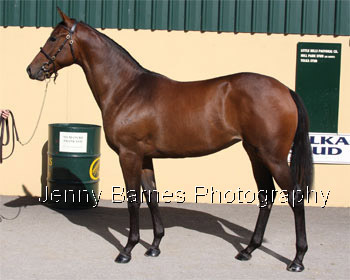 She has produced 3 to race for two winners and is a half sister to SW Sir Linford from Aretha. 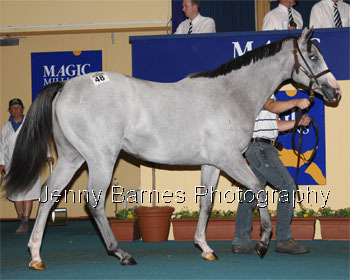 He was purchased by GR Pollack for $50,000. This filly a member of the Kambula draft is the highest priced Blevic yearling ever sold via auction reaching a price of $105,000 to Mark Kavanagh. She is the first foal of stakesplaced Sunday Shoes. 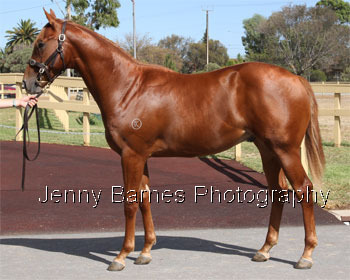 This filly is by Flying Spur (the sire of over 530 winners) and is from the Zeditave stakeswinner Super Snooper. She has had 6 to race for 6 winners including the stakeswinner Forest Spy. 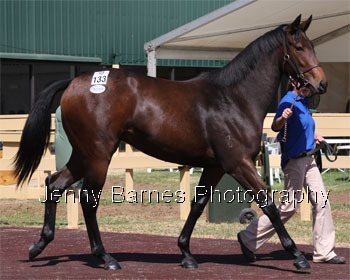 Offered by Caithness Breeding as agent she was purchased by P Katelanis for $145,000. Sired by promising sire Dash for Cash this filly is from The Big Sparkle from the family of Notoire, Well Known and River Mist. 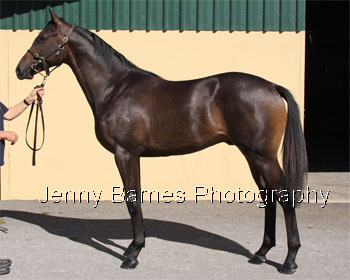 Offered by Cadzow Hill Stud she was purchased by A Noblet Vic for $57,500. 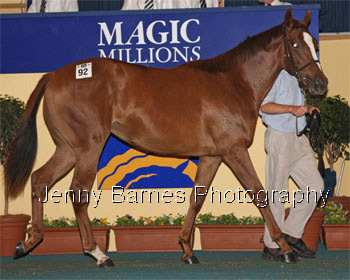 Offered by Mill Park Stud this colt is by Galileo from Truffle Pig who has produced 4 to race for four winners. He is from the family of Deledio, Rebecca Sharp, Centre Stalls, etc and was purchased by K Harrison & J O'Connor for $80,000. From the family of Heat of the Moment (the colt's 3rd dam) and Blazing Fonteyne this colt is by Invincible Spirit from Unbridled Fire who is yet to be represented on the racetrack. 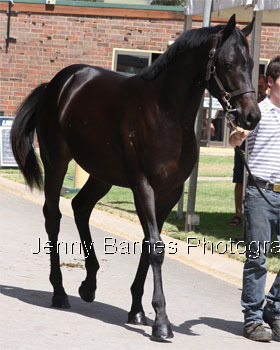 Offered by Chatswood Stud he was purchased by R Smerdon for $48,000. Offered by Trevenson Park Stud this colt is by Danzero (sire of over 380 winners) from Violet Tints (the family of Notoire, Well Known, River Mist, etc). He was purchased by Mark Kavanagh for $120,000. 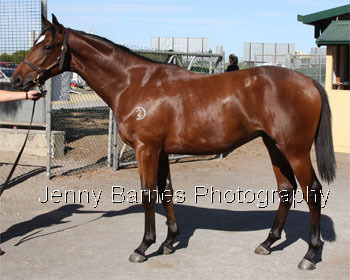 This colt was offered by Kambula Stud and is by Blevic and is the first foal of Amyjaye Gold. A multiple winner Amyjaye Gold is a half sister to stakeswinner Amyjaye Power and is from the family of Kiwi Bride, Biaggio, Canterbury Belle, etc. 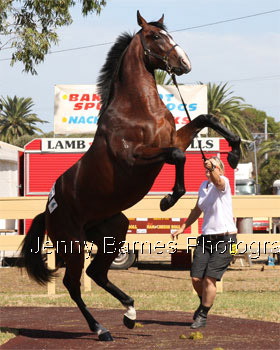 He was purchased by Commercial Bloodstock WA for $75,000. 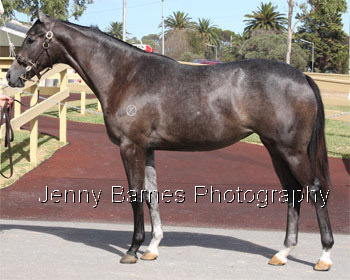 This filly offered by Willow Grove Stud is a member of the first crop of the Gone West stallion Mugharreb. 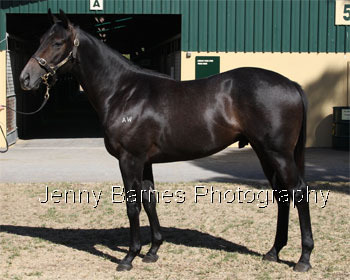 She is from Amyjaye Star the dam of 3 foals to race with all being winners including the stakeswinner Amyjaye Power and was purchased by B Scott for $55,000. 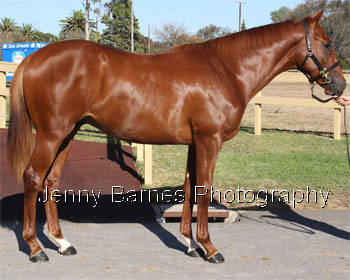 Offered by Chatswood Stud this filly is from the stakesplaced winner of 14 races Bourverie Mist who has produced two winners including Bourverie Jest who won 8 races. 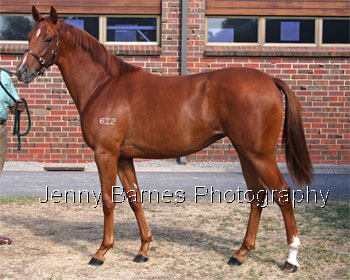 From the family of Gala Supreme, Magari, Centaurea, etc she was purchased by R Dowsett for $20,000. This high spirited colt is by Tayasu Tsuyoshi who is the sire of over 10 stakeswinners including Hollow Bullet, Isanami, Baughurst, etc and is from the Scenic mare Bright Bead. Offered by Little Hills Pastoral he was purchased by Commercial Bloodstock for $16,000. Offered by Eliza Park this colt is a member of the first crop of the speedy Murphy's Blu Boy and is the first living foal from the Canny Lad mare Cadastral. 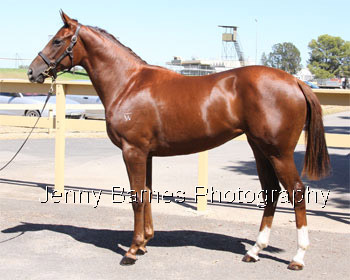 From the family of Victory Vein, Balmoral, Aspirations, Upwards etc he was purchased by CJ Cassar Racing for $25,000. 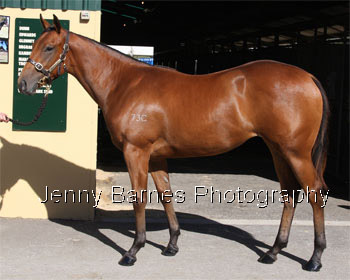 This filly was offered by Willow Grove Stud and is by Belong To Me (sire of 512 winners) from Champagne Mist. Champagne Mist is from Cere Mist dam of stakeswinner In the Mist (dam of SW De Lago Mist), stakesplaced Danazar and Southern Sprinter dam of SW Fragmentation. She was purchased by Joe Hall for $74,000. Sired by Black Hawk (sire of St Trinians, The Black Rod, Etc) this colt is from the Encosta De Lago mare Costa Kara who has produced the stakesplaced Teskara from her first foal (this colt is her second living foal). He was offered by Wyndholm Park and purchased by N Dyer Racing Stables for $22,000. A member of the first crop of Face Value this filly was the top selling yearling on day 2 of the sale purchased by Mark Pilkington for $120,000. 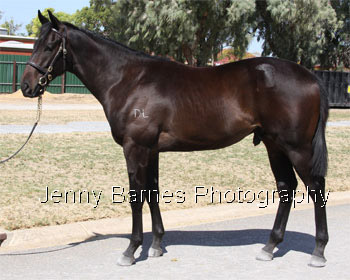 Offered by Lindsay Park Stud she is from the Catrail mare Extravagantly who has produced two earlier foals both winners including Oh Pickles by Rory's Jester. She is from the family of Special, Bomber Bill, Specialize, Demographic, etc. This colt is a half brother to the stakeswinners Elysees and Blahnik from the King's High mare Gift Bouquet. 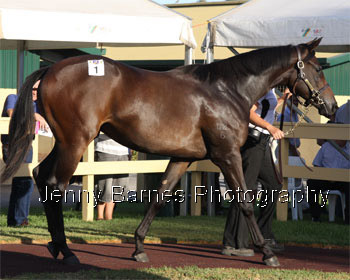 Offered by Tori Park Stud he was purchased by Kennewell Racing for $110,000. 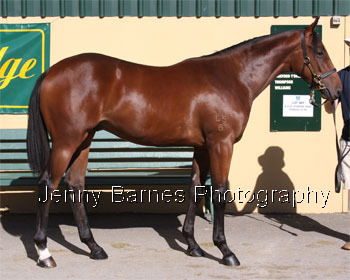 Offered by Kambula this colt is by Choisir from the Magic of Money stakeswinning mare Josalie. From the family of Pompeii Pearl this colt was purchased by Spencer Knight for $55,000. Offered by Mill Park Stud this colt is by Tale of the Cat (sire of over 40 stakeswinners including Glamour Puss, Falkirk, Purrealist, etc) from Katie's Reign dam of two winners from three to race. From the family of Red Labelle, Fear No Reign, Northstar Command, etc he was purchased by Spencer Knight for $70,000. 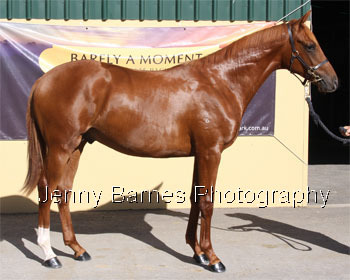 This colt is the last Rancho Ruler yearling to be sold at auction and he was offered by Ballarto Lodge. From the Runyon mare Makalali his grand dam is Gold Token who produced multiple stakeswinner Londolozi. He was purchased by G Osborne for $10,000. 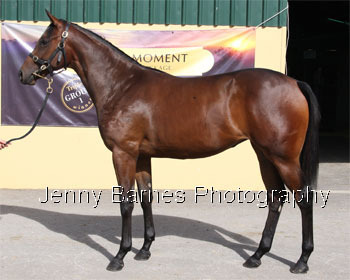 Offered by Ellendale this filly is by Distant Music and is from Moll Flanders dam of one foal to race the stakeswinner Tosstestaroan. 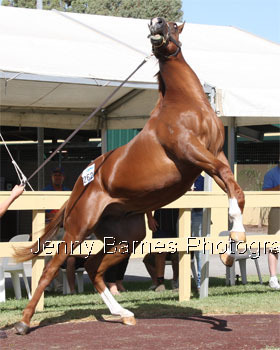 She was purchased by K Harrison & J O'Connor for $50,000. Showing plenty of spirit this colt is by Mugharreb from the Gold Brose mare Mustang Melaine. 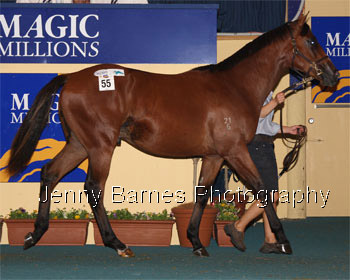 Offered by Ducatoon Park he is from the family of Preferential and was purchased by D Bourne for $24,000. Offered by Lindsay Park as agent this colt is by the first crop Sadlers Wells stallion Refuse to Bend from Royal Academy mare My Duchess. My Duchess has produced two earlier foals and both are multiple winners. From the family of Schubert, Cargo Cult, Happy Giggle, Pure of Heart, etc this colt was purchased by D Bridgland Bloodstock for $90,000. Offered by Tanfield Farm this colt is by Galileo and from New Gold Dream who has produced 6 winners including he stakeswinner Golden Pedigree and stakesplaced winners Jeune's Fantasy, Fraar Side, Old Friends Gold. 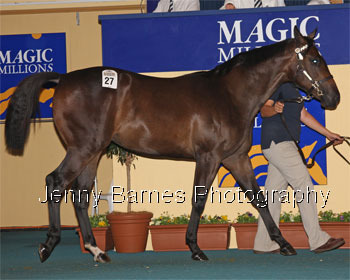 He was purchased by Colm Santry Bloodstock for $47,500. 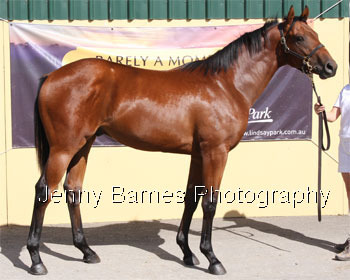 Offered by Tolka Stud this filly is a full sister to the multiple stakeswinner Isanami and three other winners. 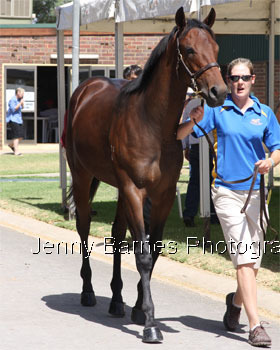 She was purchased by Redgum Racing for $60,000. Offered by Oakford Thoroughbred Farm this colt is by first season Danzig sire Antonius Pius and is from Rapid Angel dam of stakewinner Born With Wings. He is from the family of Achtung Baby, Scenic Assault, Hips Don't Lie, Sovereign Ghost, etc and was passed in for $37,500 with a reserve of $40,000. This colt is by first season sire Face Value from the At Talaq mare Royal Scoop. 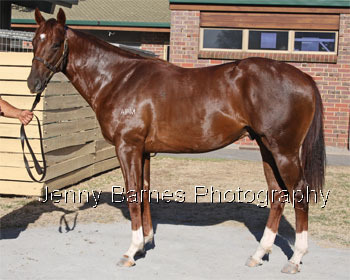 Royal Scoop has produced 5 to race for three winners and is from the family of Amarant, Hunting Chief, Worlds Away, etc. 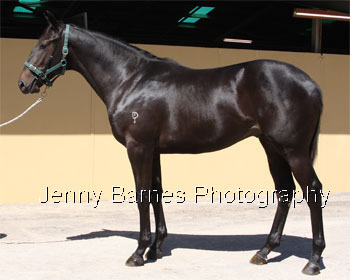 Offered by Willows Thoroughbred Farm he was purchased by Willw Park Ltd for $27,000. 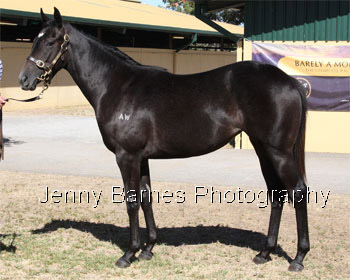 Offered by Kambula Stud this colt is by resident sire Blevic from King's High mare Royal Tess. She has produced three to race and all are winners. From the family of Bretcarlyle, Baughurstm Nancy Eleanor, Evocative, etc he was purchased by The Superhorse Trust for 77,500.